Every once in a while I will buy an item from the store and wonder where it originated. Just who owns it and is it really safe? 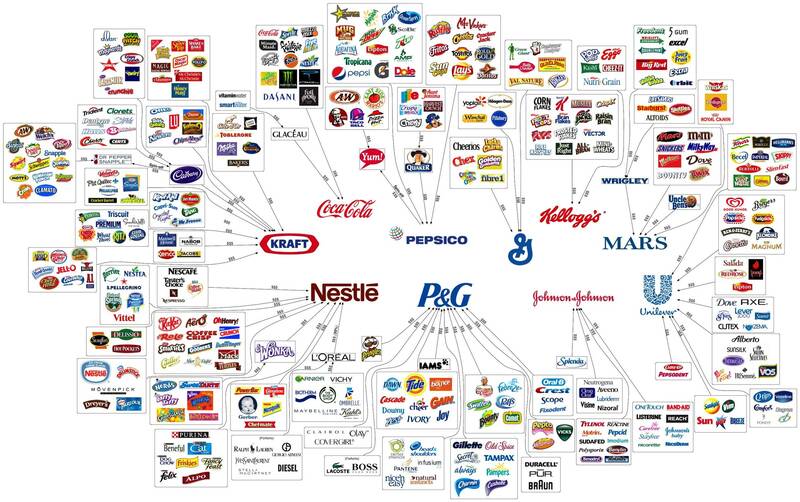 Below is a flow chart that tells you where most things you buy from the store comes from. It pays to ask questions because you never know the truth until you dig a little.